Comprising violinists Christopher Otto and Ari Streisfeld, violist John Pickford Richards, and cellist Kevin McFarland, JACK Quartet electrifies audiences worldwide with "explosive virtuosity" (Boston Globe) and "viscerally exciting performances" (New York Times). The Washington Post commented, "The string quartet may be a 250-year-old contraption, but young, brilliant groups like the JACK Quartet are keeping it thrillingly vital." 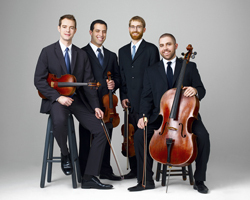 The quartet has performed to critical acclaim across the globe. Throughout 2012-2014, JACK will join legendary pianist Maurizio Pollini as a part of his Perspectives series with performances at the Lucerne Festival (Switzerland), Suntory Hall (Japan), Cité de la Musique (France), and Staatsoper Unter den Linden (Germany). The ever-evolving Aiyun Huang enjoys a musical life as soloist, chamber musician, researcher and teacher. She was the First Prize and the Audience Award winner at the Geneva International Music Competition in 2002. She is a founding member of Canadian trio Toca Loca with pianists Gregory Oh and Simon Docking. 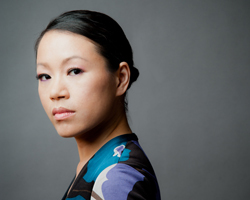 Aiyun has commissioned and championed over 100 works in the last two decades working with composers internationally. She is a researcher at the Centre for Interdisciplinary Research in Music Media and Technology in Montreal. In May 2012, Mode Records released Save Percussion Theater featuring Aiyun Huang and friends documenting important theatrical works in the percussion repertoire. Currently she leads research project Memory in Motion to study memory in percussion ensemble playing. 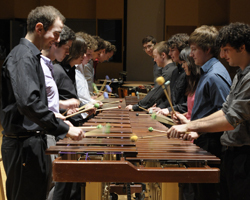 McGill Percussion Ensemble was founded by Professor Pierre Bèluse in 1969. Under his direction, the ensemble’s first recording Percussion won le Grand Prix du Disque-Canada in 1976. When Pierre Bèluse retired in 2001, D’Arcy Gray led the ensemble between 2001 and 2005. Since 2006, Aiyun Huang and Fabrice Marandola have acted as co-directors. Under their direction, the group has participated in international festivals including MNM, MusiMars, Cool Drummings, Made Music New York, Scotia Festival of Music, and Open Ears Festival. The ensemble has an on-going Composer-in-Residence program featuring current McGill composition students. For the 2012-2013 year, Nicolas Hyatt and Jason Noble are taking on these exciting roles. The ensemble also participates in international commission projects. Recent new works from Mark Applebaum and James Wood have been highlights. 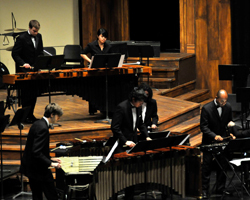 The University of Toronto Percussion Ensemble has established itself as an important student ensemble at the Faculty of Music, University of Toronto. Past directors include Russell Hartenberger and Robin Engelman, both of the percussion ensemble NEXUS. Recently, the ensemble has been under the tutelage of Beverley Johnston and Mark Duggan. The ensemble performs four concerts per school year, along with guest appearances that have included concerts with Soundstreams' Cool Drummings festival, Percussive Arts Society International Convention, and Ontario Chapter "Day of Percussion". They were featured in a 2009 recording of the music of Alice Ping Yee Ho entitled MING. The ensemble also released in 2004 a CD titled RONDINO that contains music by Bob Becker, John Cage, Jo Kondo, and John Beckwith. Versatile percussionist Noam Bierstone obtained his Bachelor’s degree at McGill University, studying with Aiyun Huang and Fabrice Marandola, and is currently pursuing his Master’s at the Conservatoire National Supérieur de Musique de Paris in the class of Michel Cerutti, Florent Jodelet, Nicolas Martynciow and Benoît Cambreling. He is a grand prize winner of the Canadian Music Competition and multiple prizewinner of the Orchestre Symphonique de Montréal Standard Life Competition. Noam has worked with distinguished composers including V. Globokar, P. Leroux, T. De Mey, L. Naón, and L. Thoreson, and has premiered numerous works by young composers. 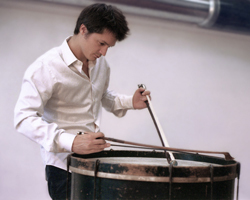 In 2012 he performed Martin Matalon’s percussion concerto Trame VIII with the Nouvel Ensemble Moderne, and has appeared as soloist and chamber musician in Canada, United States, France, Netherlands, and Austria. 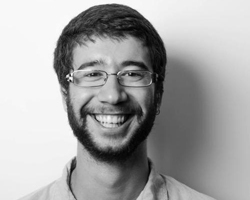 Noam is a founding member of musicfor3 with saxophonist Joshua Hyde and pianist Antoine Alerini. Greg Samek received his Master of Music in Percussion Performance from the University of Toronto and Bachelor of Music Education from the University of Windsor. He is an alumnus of the Detroit Civic Orchestra, the Band of the Ceremonial Guard and the National Youth Orchestra of Canada. He has performed with Toca Loca, Esprit Orchestra, Charles Wuorinen, Beverly Johnston, Evelyn Glennie and NEXUS. 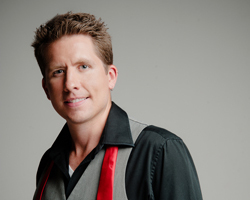 He has performed at The Banff Centre, the PAS International Convention, the Universal Marimba competition (recipient of the Ludwig Albert talent award), and the Vancouver 2010 Olympic Closing Ceremonies. Greg is currently a member of Scrap Arts Music. A founding member of the acclaimed International Contemporary Ensemble (ICE), David has premiered over 300 works by composers from across the globe, having worked closely with the established composers of today (Steve Reich, Elliott Carter, Pauline Oliveros, Luca Francesconi, among others), and tomorrow’s rising stars (Dai Fujikura, Du Yun, Johannes Boris Borowski, Ted Hearne, among others). David received rave reviews in print and digital press as the solo percussionist in the U.S. premiere of Iannis Xenakis’ Oresteia at Miller Theatre, and has performed as a soloist in New York, Chicago, Morelia (Mexico), Oslo (Norway), Ottawa and Toronto. 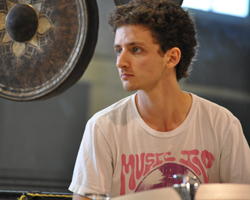 An active performer in New York’s contemporary music scene, David performed regularly with So Percussion, Alarm Will Sound, and many others from before relocating to Toronto in 2010, where he has played with the Canadian Opera Company, the Esprit Orchestra, Arraymusic, Toca Loca, Nexus, TorQ Percussion, Evergreen Club Contemporary Gamelan, Ensemble 1534, and at Ottawa Chamberfest. Montreal percussionist Alessandro Valiante received his trainings (B. Mus. and M. Mus.) at the Schulich School of Music, McGill University under the tutelage of Aiyun Huang and Fabrice Marandola. He is the founding member of the percussion quartet Architek, who is currently in residence at the Matralab at the Concordia University in Montreal. Alessandro is a versatile musician with experiences in contemporary, orchestral, and world music. His recent highlight performances include guest appearances at the Scotia Festival (Halifax), Make Music New York Festival (NYC), and Open Ears Festival. 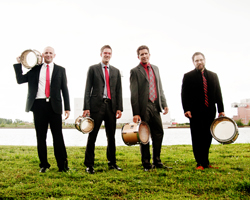 Praised by the Ottawa Citizen as “outstanding — no, make that astonishing”, and renowned for their engaging performances, TorQ Percussion Quartet is committed to making new music accessible to audiences that span generations and geography. Members Richard Burrows, Adam Campbell, Jamie Drake and Daniel Morphy have performed together to standing ovations across Canada and beyond, including performances at the International Percussion Quartet Festival (Luxembourg), Ottawa Chamber Music Festival, Indian River Festival (PEI), Open Ears Contemporary Music Festival, the Percussive Arts Society International Convention (Indianapolis), and as guests of the Toronto Symphony Youth Orchestra and Soundstreams Canada/Stuttgart Chamber Choir (Canada/Germany), amongst others. They have been featured as touring recital artists with Jeunesses Musicales Canada, Prairie Debut and Debut Atlantic and were nominated by the Canadian Association of Arts Presenters (CAPACOA) for “2011-2012 Touring Artist of the Year”. Strong advocates of new Canadian music, they have premiered over 50 works for percussion quartet, including two new works by renowned composer Christos Hatzis. TorQ also places strong emphasis on the importance of music education, and performs approximately 70 educational concerts and workshops per academic year in collaboration with Prologue for the Performing Arts. 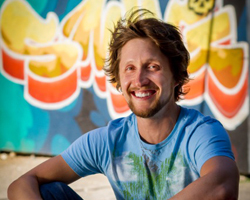 Richard Burrows received both a Masters of Arts in Music Education and a Masters of Music in Performance Percussion from the University of Toronto, and an Honours Bachelor of Music in Performance Percussion from Wilfrid Laurier University. As a former principal cast member of ScrapArtsMusic, Richard has performed throughout North America, Europe, Mexico, Asia and Australia. He has also shared the stage with Nebosja Jovan Zivkovic, Evelyn Glennie, Synergy Percussion and NEXUS. Closer to home, he plays with numerous orchestras including the Kitchener/Waterloo Symphony Orchestra. 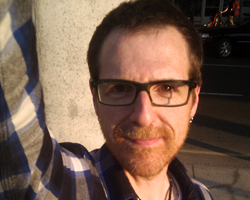 As a freelance percussionist he has performed with the improv ensemble "Digital Prowess", with famed bass clarinetist Kathryn Ladano in “Stealth,”with new music projects for InterArtsMatrix, and was as a member of the Toronto Raptors drumline "TR Beat". An avid educator, Richard gives masterclasses on improvisation, concert percussion and drumline throughout Ontario, and across Canada. He is also on faculty at the International Music Camp in North Dakota. Born in Canada, Morris Palter’s wide-range of musical interests have found him performing throughout North America, Asia, and Europe at some of the most prestigious festivals and concert venues including his Carnegie Hall’s Weill Recital Hall debut under famed composer/conductor Pierre Boulez in 2001. Morris has commissioned and/or premiered hundreds of new compositions, working with prominent composers and performers including Bob Becker, Christopher Adler, Roger Reynolds, Anders Åstrand, Mark Menzies, and Chou-wen Chung. 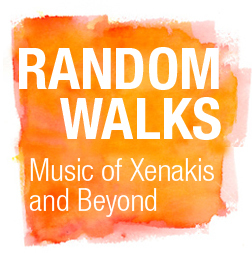 Recent guest residencies include the “Roots and Rhizomes” summer percussion program (Banff Centre for the Arts), the Together Now Festival (Holland), the Open Ears Festival (Canada), the Technosonics Festival (University of Virginia), the University of British Columbia, and the Royal College of Music (London, UK)..